The Most Affordable, The Most Convenient Temporary Storage. 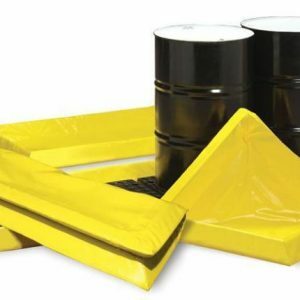 The flexible-sidewall SpillPal line is the easiest to use and the most affordable hazardous material storage product on the market today. 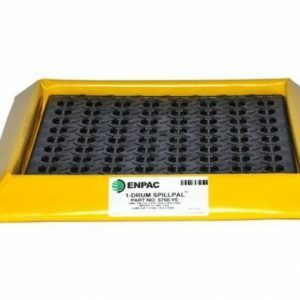 SpillPal provides incidental spill control during temporary storage of drums, machine parts, tanks and generators. 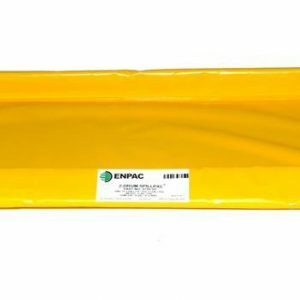 It can also be used as a washdown pad or pumping station. 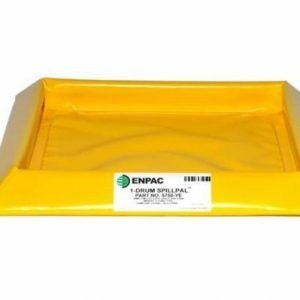 An alternative to hard plastic pallets that need to be moved by a forklift and are always in the way, ENPAC’s SpillPal features 3” foam sidewalls that easily spring back into place after any type of pressure is applied. 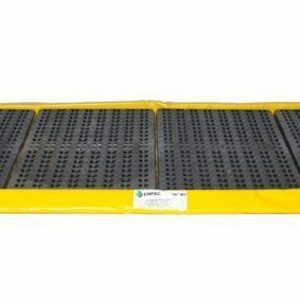 With six configurations, SpillPal almost eliminates the need for bulky, hard plastic pallets. Custom sizes available. 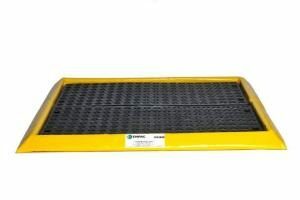 Keep your floor clean with Poly-Spillpad! 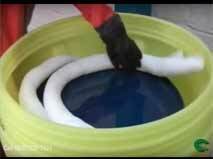 Handles spent batteries, 5-gallon pails, 16-gallon drums and your messiest of “smaller” jobs. 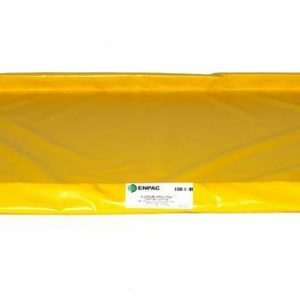 Sturdy inner polyethylene grate provides protection while vinyl bermkeeps incidental spills contained. 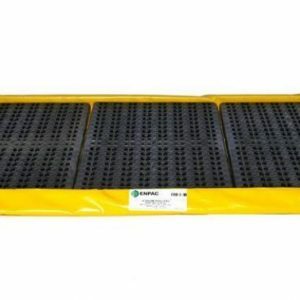 Poly-Spillpad is lightweight and easily moved. Great on your plant floor or travels with you to prevent incidental spills on the go! 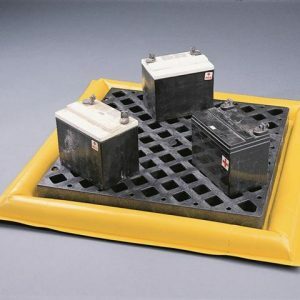 The large sump area allows for an extended response time. Keep your floor clean with Poly-Spillpad! Handles spent batteries, 5-gallon pails, 16-gallon drums and your messiest of “smaller” jobs. 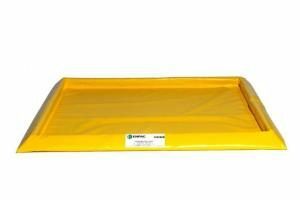 Sturdy inner polyethylene grate provides protection while vinyl berm keeps incidental spills contained. 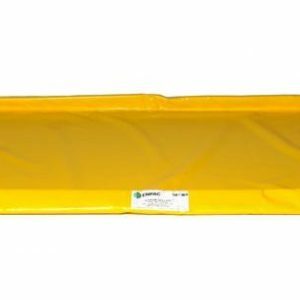 Poly-Spillpad is lightweight and easily moved. Great on your plant floor or travels with you to prevent incidental spills on the go! 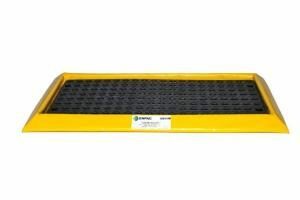 The large sump area allows for an extended response time.